Hello everyone, How are you all today? May be great. I have a question for all of you. Can you tell me what is your purpose for blogging? Money, fame or fun. Come to the main point. This is another great interview episodes on Talkandtalkers Interview Series. Today my guest is non other than Kevin Duncan. He is one of the greatest blogger, internet marketer and much more. I am very thankful to Kevin Duncan for accepting my interview request. Let’s talk with him. First off, thank you for the interview request, Toposh. I enjoy connecting with new audiences! My name is Kevin Duncan. At my blog, BeABetterBlogger.com, I use my very particular set of skills to help people become the best bloggers they can be. I started blogging in May 2005, so I’ve been at it for a long time! I began right before I finished graduate school for my M.S. in Computer Science. I was looking for a new job, and I suddenly had lots of free time on my hands. So, I started a blog. Almost ten years later, I’m still at it. Just like with my financial investments, I’m not a fan of putting all my eggs into one basket. I don’t want to rely solely on search engines like Google, or social media platforms like Twitter, to generate traffic for me. So, I focus on a variety of traffic streams. I work daily on growing my email list. I’m active on Twitter and Google Plus. I optimize each of my posts for SEO. I comment on the blogs of others. If I had to choose only one, I would choose my email list. For the long-term success of your blog, it can’t be beat. If Google bans you, you still have your email list. If all your Twitter followers decide to unfollow you, you still have your email list. It’s invaluable. For paid tools, I swear by the Rainmaker Platform by Copyblogger. It’s my all-in-one marketing and sales platform. For email marketing, I love AWeber. As for free tools, I’m a big fan of Buffer. It makes scheduling shares on social media much easier. And to help me keep track of all my tasks, I use Todoist. I chose WordPress because it’s the best. I’m sure there are people still using link wheels. And it’s possible some of these people are still having a bit of success. 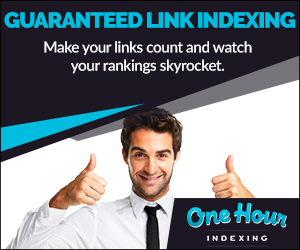 As such, I wouldn’t recommend to anyone to rely on link wheels as a long-term link-building strategy. If it isn’t already dead, it will be soon. Right now I only use affiliates. One day, I’ll create my own digital products (eBooks, courses, etc.). Once I decided to monetize my blog, making my first penny was easy. I used Google Adsense, and I earned a little bit of money on my first day. There are two types of PageRank. The rank Google uses behind the scenes, and the rank people can see on their browser toolbars. The latter hasn’t been updated by Google in a long time, and it’s possible they won’t update it again. This is good if your blog already had a nice PageRank, but not so good if your blog was created in the past year. Using the Domain Authority tool by Moz is probably a better sign of authority these days. Six months ago, BeABetterBlogger.com didn’t exist. I had no email subscribers, and barely any social media followers. Today, it’s a thriving blog with over 11,860 followers! I wasn’t familiar with Talkandtalkers until Taposh asked to interview me, but it looks like a very nice blog. The one critique I would have is you don’t display the publish dates for your posts. When I’m reading a post, I like to know when it was written. Find your purpose for blogging. Is it money? Is it fame? Is it for fun? If you don’t have a purpose, and you aren’t committed to that purpose, you aren’t going to succeed as a blogger. You will give up — like so many bloggers do. But if you find your purpose and work hard, anything is possible. Good luck!